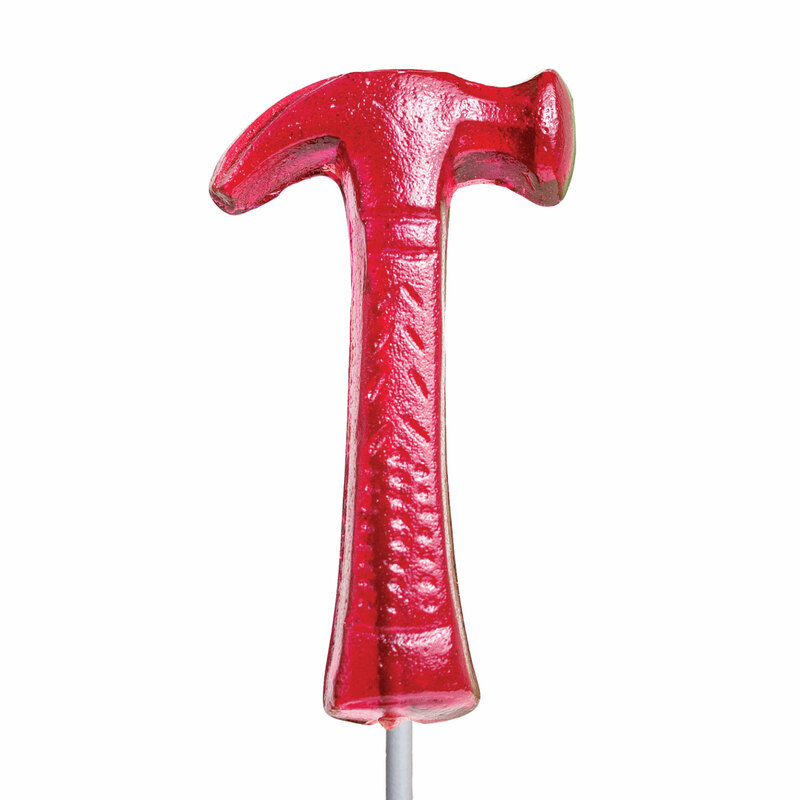 Our hammer shaped lollipops are sure to satisfy the sweet tooth of any handyman in your life. Perfect for so many events, from children's birthdays to Father's Day. 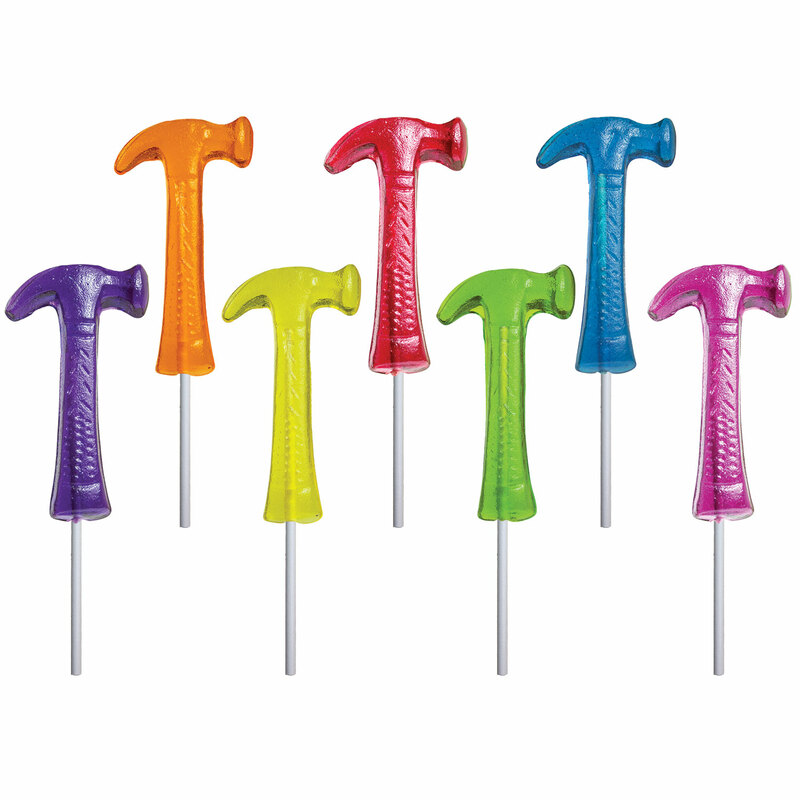 This item comes with 24 lollipops on your choice of either a Melville paper stick or a wooden ball stick.